The exponential growth of websites means that server support requirements are on the rise. But, you might find it difficult to find enough qualified and capable personnel to hire in-house. During such situations, you would rather unwillingly think of outsourcing server support. It is natural to think that if your server support team is not in-house, you may not enjoy the best benefits. But, outsourcing server support comes with its own perks that in-house teams are normally not able to provide. 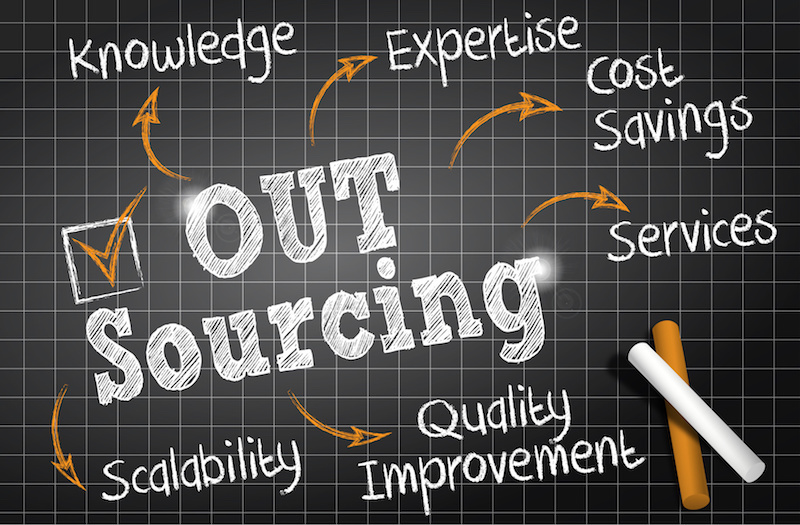 Let’s see 5 important areas where outsourcing scores. Server management companies usually have a mix of experienced, inexperienced and smart talents. Due to this, they have a wide pool to call upon in case of any server issues. This enables them to quickly sort out most issues in case something crops up. Usually, such issues arise rarely when handled by a server management company. The reason is simple. Due to their expertise and experience, they would be conducting regular check-ups on your server and taking all precautionary and preventive measure, keeping your server as healthy as possible. This is a significant advantage over a small in-house support team who would be doing more emergency patchwork rather than regular server upkeep. Downtimes can be fatal to businesses especially if they are in the retail sector. It could mean significant money loss if your server goes down during the peak time. Also, series of down times can cause serious damage to SEO visibility of the website. Having an experienced server management team take care of your servers 24/7 becomes really handy in this respect. Time is a crucial commodity and you would need all the experience and expertise at hand in case such crunch situations do occur. In-house teams wouldn’t have the same hands-on experience either. But the team you outsource to would be battle-hardened as they would have dealt with several such situations on a daily basis. Hackers are a very real threat nowadays. With new technologies arriving on the scene every other day, hackers get lots of opportunities to exploit vulnerabilities. This makes server security a high priority.A large number of server vulnerabilities can be patched by timely updates. But there are some which require expert care. With a team monitoring your server 24/7, the chances of a hacker targeting your server is next to zero. Unlike in-house teams, support specialist teams stay on top of the latest technology updates as they usually have a large clientele to deal with. This could provide you with a technical advantage over competitors who wouldn’t have a similar facility. These server management teams provide you with their expert knowledge based on market trends to improve your business. With your server in safe hands, you would be able to focus on your business. Your valuable time can actually be spent on improving your business rather than on server maintenance and security. An expert team will be able to provide you excellent monitoring, migration services, security, and custom installation services, etc. Serversupportz is a server support company specialized in Outsourced 24/7 Web Hosting Support, Remote Infrastructure Management, NOC, Cloud and Enterprise Security Services.